Antibiotic resistance is a growing medical problem that threatens human health worldwide. Today, many people are dying due to infections with resistant bacteria. A possible solution to these problems would be if we had reliable methods to quickly and easily identify the infecting bacterial species and their resistance patterns and apply the right treatment immediately. The method allows a determination of both species and resistance patterns of bacteria in urinary tract infections in less than four hours. By comparison, the susceptibility testing which applies today takes 1-2 days. The method is based on a highly sensitive bacterial specific measurement of microbial growth in the absence and presence of different antibiotics. The researchers show that the method could identify both bacteria and resistance patterns correctly in all clinical specimens tested. 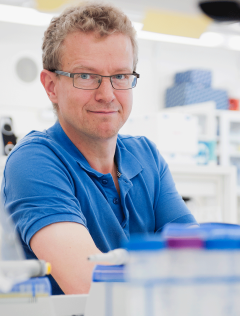 “We hope the method will be used in hospitals and medical centers in the future to quickly provide correct and effective treatment and reduce unnecessary and ineffective use of antibiotics”, says Professor Mats Nilsson. The study has been funded by Vinnova and the Swedish Research Council.